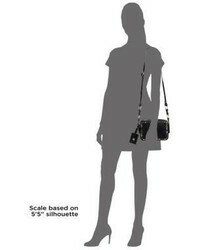 Suggest that your darling dress in a grey blazer and a Lanvin mini so studded leather bag for a fun day in the park. This style is complemented well with white sneakers. Suggest that your child dress in black dress and a Lanvin mini so studded leather bag for a fun day out at the playground. 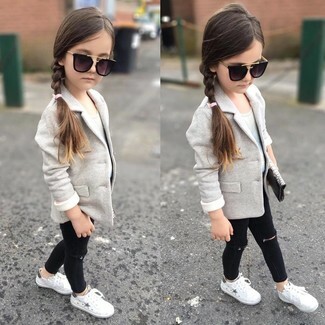 As far as footwear is concerned, suggest that your little one opt for a pair of black sneakers. Dress your little girl in a grey coat and a black bag for a fun day in the park. Black boots are a great choice to round off this look.